Ewan Hoozami: Brand new EP out now! Brand new EP out now! Bristol is rightly renowned on a global scale for its rich vein of musical diversity. With an artistic reputation that is rivaled only by London, the city is slowly but surely cementing its status as the place to watch for all things big beat and bass influenced. 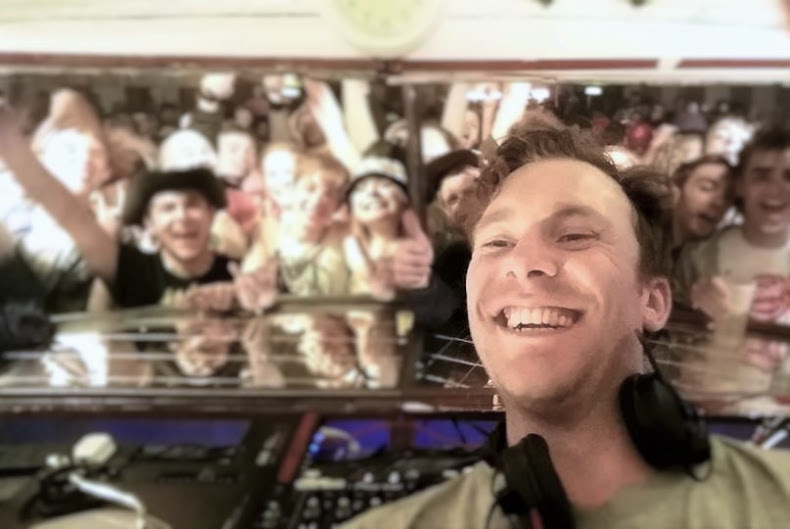 Popular mixed genre, heavy beat maestro Adam Hignell aka Ewan Hoozami ("youˈn'hooz'arr'mee") is not only "stupendously well-named", but is currently amassing a loyal and fervent following in both his hometown and internationally. Known as a versatile live performer - encompassing nimble fingered MPC routines, live microphone manoeuvres, loop station lunacy and multi-angled bass assaults - and renowned party smashing DJ, playing Soundwave Croatia, V Festival, Isle ofWight Festival, FBBB Holland, Brisfest, Red Bull Riders, Boomtown Fair, Larmer Tree Festival and Chai Wallahs, as well as a sea of events with massive Bristol promotors and collective "Funk From The Trunk", 2012 saw Adam release a veritable cornucopia of prestige productions. Dropping releases on Big M, Pig Balls Records, Breakbeat Paradise and seeing self-released songs number downloads in their thousands, 2013 is set to be the year that Ewan Hoozami compounds his status as a production force to be reckoned with. Readying for the release of his long play album "Robot Soul", Hoozami invites listeners to feast upon a delectable free four part EP entitled "Fire In Me". Combining classic boom bap hip hop, breaks, bass, big beat and unashamed pop tendencies amidst a natty ear for samples and electronic elements, the EP serves to whet appetites for his impending album. 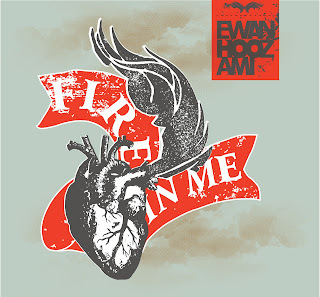 Opening salvo "Fire in Me" caters to Ewan's hip hop aesthetic with a robust boom bap bed graced with his lyrical debut. Evoking an old school mic style with dense, intricate linguistics and wordplay, he denotes his emphasis toward creative impulse and individuality in contrast to the current trend for identikit rappers and producers. "Through With Love" features popular Bristolian rapper Blacksmith. Blacksmith oozes soul whilst expressing his woes at a lost love, displaying a level of maturity and honesty seldom seen in modern rap. The production appears to begin with a classic hip hop aesthetic, before dropping into what can be more comfortably defined as a big beat influenced breaks bass production. "Android Pillow Talk" sees the EP lean more toward modern pop stylings, with the lush, eerie tones of Substatic vocalist Colleen Quinn. This song hints toward the robotic soul of his impending LP, contrasting the EP's earlier lo-fi slant with creeping electronica and sub-bass aplenty. The result wouldn't sound too out of place amongst the finest work of Morcheeba in their pomp. EP Finale "The Quiet" sees Ewan return to mic duties over a re-imagining of one of his more renowned indy releases "All Quiet". Again ably assisted by Colleen Quinn, classic spanish guitar and piano elements are fused with arpeggio and rampant bass to create a textured epic with Hitchcock-esq breakdowns. The lulling vocal sample permeates throughout, ending the project on the line "Til you come back to me". BBC Introducing Minimix now up!